Robert Rodriguez Considering a Dive Into Ryan Reynolds' "Deadpool"
After weeks of deflecting questions about his involvement in Marvel's "Deadpool" spin-off, it would appear that Robert Rodriguez is in the process of just ironing out the details. Rodriguez is in talks to direct the "Wolverine" spin-off starring Ryan Reynolds as a wisecracking mercenary, reported 24 Frames. This comes a little more than a week after Rodriguez begged off when asked about the project. "They sent me a script to read, [but] I've been really swamped with this other stuff. I've not decided whether ... anything I do would be after 'Spy Kids' — that gives some breathing room. So whether or not I would help develop or not is the question right now," he told MTV. The script is from Rhett Reese and Paul Wernick, the guys behind "Zombieland," who are also working on a script for "G.I. Joe 2." A smart-alec guy running around with a couple of swords? Yeah, Rodriguez could do that. But the idea of Green Lantern playing Deadpool seems less than ideal. 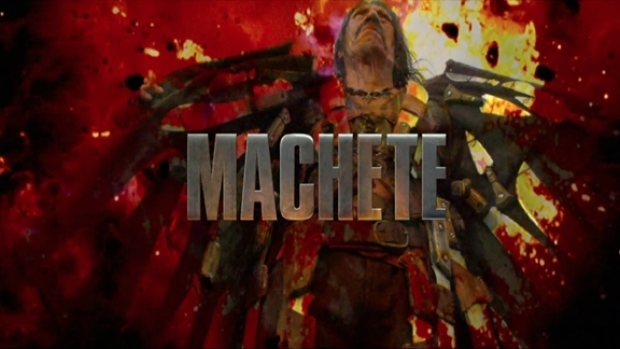 Rodriguez most recently produced the well-received if little-seen "Predators," but the wildly over-the-top trailers and poster art for his upcoming grind house homage "Machete," out Sept. 3, have been getting the fanboys pumped.